The Queensland government has introduced new domestic violence courts in Townsville and Beenleigh; the sole purpose of which is to deal with domestic violence and family law. Local law courts have been inundated with a large number of domestic violence cases, with each court handling more than its capacity. However, a solution to the backlog of cases is being introduced into Townsville and Beenleigh. 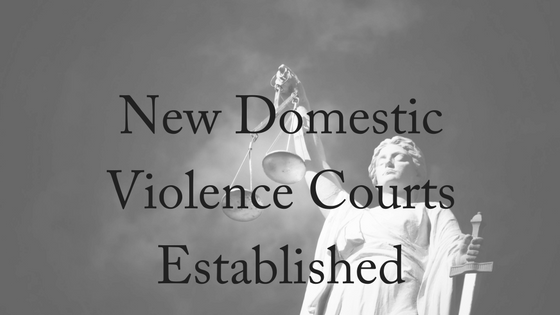 The State Budget has been expanded to allow approximately $69 million to be used in the creation of new domestic violence courts. Following a recommendation from a report written by Dame Quentin Bryce called ‘Not Now, Not Ever’, the domestic violence courts will specialise in family violence with experienced magistrates and lawyers, while also employing counsellors and other support staff to personally assist the victims of domestic violence. 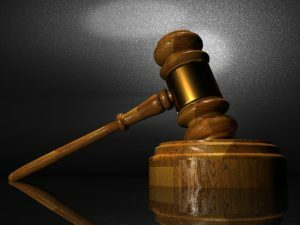 The Queensland government decided to establish the domestic violence courts after trialing the idea at Southport, which will also remain a specialised court and was considered by all stakeholders to be a success. The money earmarked in the Budget will go to refurbish the existing courts and allow for the Beenleigh court to hear civil and criminal family matters and for the Townsville court to deal with civil matters, including those family violence matters impacting mainly Indigenous Australians. The courts will contain safe places for the victims of violence, the standard administration and court rooms and extended rooms for meeting and counselling. if a court matter involves ­allegations of domestic violence, everything including any ancillary charges and issues of access to children, and protection orders are dealt with here. Complainants have access to Legal Aid, specialist counsellors and referral ­services for help with accommodation, financial assistance and even matters like caring for family pets. There are even men’s behavioural programs and mechanisms for managing contact with children. Some critics have said that the chosen areas of Townsville and Beenleigh are odd, yet according to statistics, the local courts in these areas heard and experienced the most domestic violence cases in Queensland. 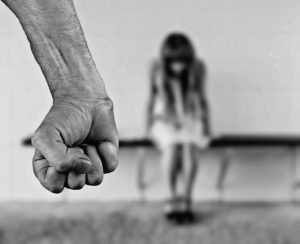 The statistics show that the three special domestic violence courts in Southport, Beenleigh and Townsville will hear around 28% of the family violence cases in Queensland. This means that more special domestic violence courts are needed around the state to have an impact on the prevalence of domestic violence in Queensland and to ease the burden on the law courts. Family violence has many affects, including that of the economy. From 2008 to 2009, assault and violence inflicted upon women and children cost $13.6 billion. This large number included costs of the court system, medical services, damaged property, financial support and the use of organisations and services. With the inclusion of specialised courts, hopefully this figure will decrease and the positive impact into the victim’s life will increase. The funding for the domestic violence courts comes on the back of new strangulation laws. In late April, State Parliament passed new laws creating a stand-alone offence of strangulation. Between its introduction in May until the end of June, 16 charges were laid under this statute, indicating that across the state (at least in terms of what comes before the courts), about four times a week a relationship plumbs such a depth of aggression and toxicity that one party tries to literally choke the very life out of it. Domestic violence doesn’t just affect the direct victims. It also impacts the economy and it impacts the lives of young victims. Those who have experienced family violence at a young age, either directly or indirectly, are more likely to require legal aid later in life. The negative impact in life can lead to mental illness and many need counselling services to break the cycle and impact of family violence. However, with the introduction of domestic violence courts, specific counselling will be provided onsite for all involved with the case. It is hoped that this early intervention will assist the victims of family violence to recover more quickly. Family violence has finally become a well-known issue in today’s society, and the legal system is fortunately beginning to do something about these issues. The introduction of special domestic violence courts is a positive step towards an improvement in the situation of family violence victims. The specialised courts will reduce the burden of domestic violence cases in the normal court system and increase the access everyday Australians have to receiving access to the legal system. It is just one step towards breaking the cycle of the negative impact of family violence and result in a better life for victims. These two new courts are only just the beginning for a more beneficial court system for all victims. If you are experiencing domestic violence, a good place to begin is with an Application for a Protection Order. Our friendly family lawyers can assist you in applying for a protection order and can also assist you in discovering your rights and the correct processes when being given a Temporary Protection Order.